Integration, Inc. specializes in resolving information technology issues confronting small to medium sized organizations. By allowing Integration, Inc. to complete your business outsourcing needs, we can enable your company to become more efficient and cost effective, thus increasing productivity. Integration, Inc. provides immediate and cost effective business outsourcing methods of complying with the EDI requirements of trading partners (customers and suppliers). As a business outsourcing EDI Service Bureau, we offer business outsourcing solutions for receiving EDI documents or sending EDI documents in a variety of formats. This enables your company to send and receive your EDI documents in a manner that works within your existing structure. Our business outsourcing services will save you time and money. Integration, Inc. can design, manage and deliver check writing, printing or mailing solutions that are cost effective for your company. We offer reliable check writing business outsourcing solutions that are simple and provide you with real savings as well as results. Integration, Inc. has the capability to manage business outsourcing rebate programs from inception to completion. As a business outsourcing industry-leader, we provide complete rebate processing support as well as project management from beginning to end or anywhere in between. We are a full service business outsourcing third party billing provider. You can depend on us for the complete printing and mailing of your third party billing documents. In today’s technologically driven business climate, Integration, Inc. focuses on processing business outsourcing services so you can focus on your other business details. UCC128 barcode labels and carton markings have become a requisite part of the criteria in order for vendors to do business with different customers. If your customer is requesting Advance Shipment Notice (ASN) transactions, chances are they will also ask you to provide UCC128 barcode labels. Integration, Inc.’s business outsourcing solutions can help you support these requirements. Integration, Inc. delivers unsurpassed value to every customer through its business outsourcing solutions. Our business outsourcing pricing structure is simple and straight forward with no hidden costs. 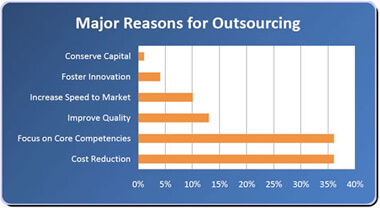 Our business outsourcing services are more cost effective than you performing these services in-house. Contact us today to see how we can greatly impact the operational efficiency of your company. A full range of business outsourcing Electronic Data Interchange (EDI) services including consulting, transaction processing, and training. Remote check writing and check printing services. Rebate program management and processing. Third party billing, invoice processing, outsource billing and remittance.